I have lost 30 pounds! If you’ve been reading the blog, you know that I started on my healthy eating and exercise plan back in May. That means I’m on month 5!!! I wanted to lose weight, feel better, improve my health, and get in better shape. The plan is working! I’ve officially lost 30 pounds (even after eating and with all my clothes on the scale tonight,) and I am down almost 4 sizes in my pants. So, where do I go from here? How do I maintain a 30 pound weight loss and keep the momentum going? First, I want to let you know that the biggest part of losing the 30 pounds for me was changing my eating habits. I never paid attention to what I ate or when I ate it. Of course, I knew fast food and desserts weren’t helping me at all, but they were convenient and tasted good. I also ate for comfort, ate as a reward, and ate when I was stressed, not just when I was hungry. Now, I eat 5 meals a day, and that’s it. I don’t really snack, and I don’t eat dessert (except that birthday cake, which was still pretty darn good.) I average around 1300 to 1400 calories a day, and I’m not starving all the time…anymore. It was an adjustment in the beginning for sure. Breakfast around 8:30 am – Steel Cut Oats with Cranberries and Blueberries by Quaker. I make it with water in the microwave, so it’s easy, it tastes fantastic (better than regular oatmeal,) and it’s only 170 calories. Meal on the go at 10:30 or 11 am – A protein bar. I like the Zone Perfect or the Simply Zone Bars in any chocolate variety. I stick to ones that are 190 calories or less, and usually have some kind of nuts in them, like almonds or cashews. Lunch around 1 pm – Egg whites on a whole grain or multi-grain with flax seeds 100 calorie Sandwich thin, and slice of low-fat cheese, which is 60 calories. I toast the sandwich thin, so it is crispy and yummy. I also eat carrots, and sometimes an apple. I may have some popcorn or a serving of Special K or Pop Chips. Meal at 3:30 or 4 pm – If I’m on the go, I sometimes have another protein bar or bring a protein smoothie, made with Almond milk, protein powder, and peanut butter powder. Sometimes I have celery with peanut butter powder (you just mix water and it saves you about 100 calories when compared to regular peanut butter,) and some popcorn or a Greek yogurt. Dinner at 6 or 6:30 pm – If I’m tired, I will sometimes have a Lean Cuisine or Weight Watchers frozen dinner. The Chicken Parmesan is amazing. Otherwise, I eat what my family is having, but in smaller portions. Grilled chicken with vegetables, salads, sandwiches, Eggplant Parmesan with Veggie Spaghetti, Turkey or Veggie Burgers on a half of bun, or homemade pizza on whole wheat crust. I am not getting compensated or sponsored by any of these brands or products. These are the actual things I use and like. I have included my affiliate links, in case you want to try something. It is no charge to you, and gives me a few cents towards running the blog, if you end up making a purchase. Simply click on the picture below, and it will take you to the page where you can buy it. While my menu might seem boring, it is something that works for me. The protein bars still give me the feeling of eating dessert, and I still need convenience at times with the kids. I will continue to try to add more and more healthy items as time goes on, and hopefully be able to eliminate a lot of the processed food. It’s still a journey. I also still struggle with drinking more water during the day, but I do drink a lot of iced tea. The second part of my plan to keep the 30 pounds off, is the fitness component. As I told you last week, as a family, we joined a gym. This has really given me the fitness boost I needed. Now, I am able to workout during the day, instead of waiting until my husband gets home. I also have been changing up my workouts by trying a whole bunch of different classes. Raise the Bar– This is a class that included weights, push ups, sit ups, and strength exercises for the arms and legs. I used light weights for my first class, and bumped it up a little for my second class. Zumba – This is a funky version of aerobics. There are lots of dance moves combined with aerobic moves. The first class I’m sure I looked really silly, and even the second class today was a challenge following all the moves….BUT, it was a lot of fun and went by really fast. Plus, I was super sweaty when I got done. I also kept moving through the whole class, so I got a good cardio workout. Barre Fitness – This is a class that combines Pilates mat work, Ballet barre work, along with weights, and a fitness band. It’s also a strength and stretching class, not really cardio. I still want to try another cardio-type class, and maybe even the step-aerobics class. I’ve also used the elliptical machine and stationary bike. My goal is to get to the gym at least 4 times a week. Since we’ve signed up last Tuesday, I’ve been there 6 times. Hooray! The bonus of going to the gym is that not only do I get a workout, but the twins get some time to socialize with other kids and new toys to play with…which they love. Once we hit the childcare room, they don’t even give me a second look. So, I am about falling asleep as I type this, which means it’s time to call it a post. If you have any questions for me, or if you need support, please leave me a comment. I’d be happy to help in any way that I can. 30 pounds is the most weight I’ve ever lost at one time, and I’m determined to keep it off for good. I’m finally feeling good about myself and feeling healthier too. Do you struggle with weight loss? Is there a way I can support you in a healthier lifestyle? oh I really want to try barre. Keep up the good work! Congratulations! I recently lost 30 pounds so far this year. I eat healthy, but most of it is accredited to Blogilates. I watch her YouTube videos and follow along the calendar on her app as it’s free and I’m on a budget. I think it’s great to set goals for yourself – kudos to you for going to the gym! Keep it up! Awesome! Congrats on your weight loss! I’ll have to check out Blogilates…sounds interesting. I need to try the microwave steel cut oats. I’ve eaten the stove top kind in the past, but they just take way too long. They are really, really good. This is very motivating! I have 10 pounds of baby weight I’m committed to losing. Thanks for sharing what works for you; it gave me some ideas. Congrats on your success and hard work! Awesome job!! I am on a weight loss fitness journey of my own. It was going great until summer derailed me, but I am back at it today. Heading to my Weight Watchers meeting in a few minutes! Special K chips are the perfect ending to my lunch! Love them! Good luck with the gym! Thank you for reading! Totally understand waiting until you’re all settled in. Can’t wait to read about your move. Awesome Shann! The key to maintaining a healthier lifestyle is to find what works for you and it seems like you have. Kudos to you. I wish you well on continuing to lead and maintain a healthier lifestyle. I’m always curious how other people keep their weight loss going. For me, being on campus all day food is always the hardest part because it isn’t available or it is very hard to pack as a commuter student. You provided a lot of good snacks on the go to try :). When I was in school, I definitely packed on the Freshman 15 and then some. It was so hard with all the temptations and convenience. I packed on weight when I started having thyroid issues. I lost my teacher weight last year and now I just need to lose the weight I gained from my initial thyroid issues!! This is great! I love your commitment to what you eat, and how you have it all planned out. I really need to get better at all of this. Thank you! It took me a long time to get to the place, but now that I’m there, I don’t want to go back. Congrats on your weight loss! That is absolutely amazing!! Congratulations on your success! That is awesome. I like how you space out the meals. I will have to try some of your recommendations. They are really good toasted! I love it when people share their journey on a blog post. It is much more interesting than anything else. You are doing such a great job at it. Changing eating habits is the one thing I sure resonate with. I can proudly say I’m salt and sodium free. I had to be because my blood pressure was sky high. Now when I taste something with salt on it… it is horrid. When it comes to eating habits, I like to take away one thing at a time. Thank you Donna! That is so awesome that you are salt and sodium free. That will be one of my next challenges. Congrats on your weight loss, Shann!! I also love sandwich thins so I can still enjoy bread but it’s just not as much! (Great portion control.) I have meant to try the powdered PB so glad to hear about it from you. I’ll check it out! Yes…it is awesome! Thank you! I love reading about what others eat throughout the day to stay in shape and lose weight. I actually just went for a run and it was the first time in a really long time. I start school again today so I promised myself with that, I would also start working out. About to make a healthy breakfast now. It sounds like you’re doing amazing at your diet and trying different workouts! Your meal plan is seriously identical to what I did to get in shape for my wedding and totally balanced/healthy 🙂 I also loved Barre and Zumba (still do!) to get in shape and have fun. Keep up the great work and if you find a way to drink more water, let me know because I’m also terrible lol… buying water bottles (although horrible for the environment) seems to be the only way I am more inspired to drink more (when I see I need to finish 4 bottles/day, I am more motivated?). We buy bottled water too for the same reason…plus, our tap water tastes gross. Thank you for stopping by! Great job on your weight loss! I lost about 20 pounds a year ago but I have about 10 more pounds I’d like to lose that are being very stubborn. I love zumba, I go when I’m not in a play that is dance intensive (like the one I’m in now, I get a good workout from rehearsals!). I wish my gym offered barre so I could try it! So cool that you are in plays! You are doing so good Shann!! I love that your gym offers childcare. The ones closest to me don’t and I don’t really want to have to find a sitter every time. That would be tough to have to find a sitter. Barre is Awesome! Congratulations! I’m also on a weight loss journey and am about 8 days in to my first round of the 21 day fix. Portion control really is key because abs are made in the kitchen (although a good daily workout is important too). I love sandwich thins and look forward to trying some of your other suggestions. Wow Shann, that is awesome! You are really showing discipline and that’s what I need. I’ve been doing Yoga and toning but I’ve been thinking about adding Zumba to my workout routine. I need to take a page from your book missy! Thanks for the motivation! You’re welcome. 🙂 Zumba is pretty fun…I look ridiculous, but you don’t really feel like you’re exercising. 30lbs! Congrats! I’ve got the eating habits down, now I need to focus on the fitness component. I have yet to meet most of my workout goals. I would love to get a family gym membership. I’m generally pretty good about what I eat but my physical activity level could definitely stand for some improvement and if I had a gym that I was paying for, I think I would get there, hand off my kids, and exercise more often. 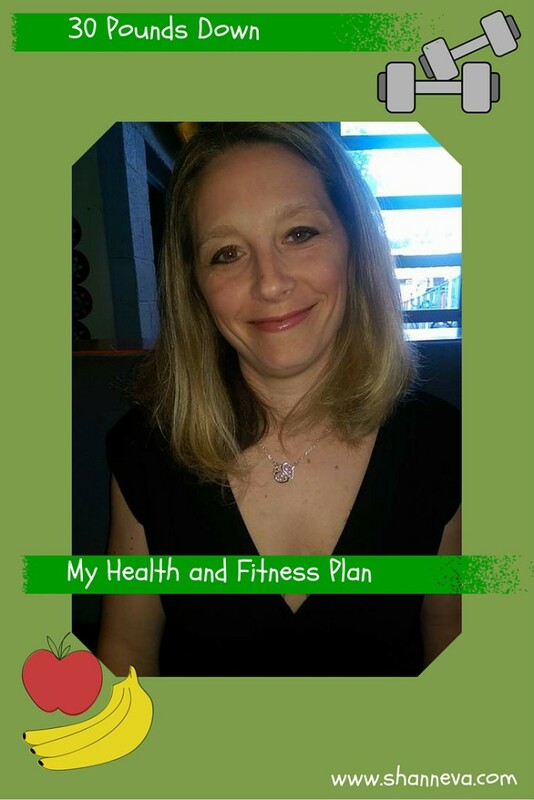 Great job on your own get healthier journey, sounds like you’re doing really well! It’s really so nice for the kids. They get to socialize with other kids, and I get some mommy time. Congratulations!! That’s awesome. I eat pretty much the same things most of the time too. I think it’s a good thing since you know what you are eating and know that they are good for you. I’m glad you are liking all the gym classes. I love barre (except the one I go to has a cardio component). Running is always fun to get into too… the races are really motivating! I recommended the Couch to 5K program if you are interested. I’ll have to look into that…it sounds like a great idea! You’re doing awesome Shann, keep up the good work! wow you are doing great! such an inspiration for me! Good for you! I know how challenging it can be to start and stick with a program. One of the best things, well, two things, is joining the gym as a family and eating the same thing as your family, just appropriate portions. Healthy living should be a family project. I really don’t think kids should think, “oh that’s mom’s food” when it comes to the food that you eat. Congrats! Congratulation for good result. High-five for your commintment to the program. It really takes will power and program to your plan.You include 3 important parts: food, excercise, and portions. Your journey will inspire many people to be health. Way to go, Shann! Those results are amazing!! It’s so much harder to plan healthy snacks and meals when you’re constantly on the go, but you’ve done it well. Protein powders and bars are such a diet saver. Yes, they are. Thank you! Congratulations! You’re doing amazing!!! I love the meal tips – it’s always good to know how others are doing it! Congrats my dear! You look fab! I love pop chips. I tend to over eat them because they are so good! CONGRATULATIONS!!!! 30 lbs is amazing! Keep it up Shann, that’s so great to hear. You’re doing an awesome job, Shann! I’m trying to clean up my eating habits, I’m gonna have to check out some of the things you mentioned. I have the PB2, it’s good! Everyone looks at me like I’m crazy when I talk about powdered PB though lol. When I first heard of it, I thought it was weird too, but now I LOVE it. Where has it been all my life?! You’re doing a great job! So inspiring! I need to watch my portions and desserts, drink more water, and move more! That barre class sounds like so much fun! It really is. The instructor makes all the difference…she’s so motivating. I loved Zumba classes when I used to go! You don’t realize that you’re actually getting a pretty darn good workout while dancing (and in my case laughing because I am so uncoordinated)! Congratulations on losing all of that weight and keeping it up!! Thank you for sharing your incredible story with us. Might I add, you look fabulous! I need to lose some poundage myself however, I am stress eating from my job and can’t begin to lose weight until I lose the job. However, when I do I’ll be on a strict diet like yours. Thanks for sharing it and keep up the good work! Thank you so much Brenda. Stress is the worst. Not only do I eat when I’m stressed, but I can’t sleep, which also isn’t good for weight loss. I hope you get to lose the job soon…and find something less stressful. I’m the same way, Shann. Unfortunately, I can’t control the stress eating but the sleeping can be induced. Keep up the good work! Thank you! I like how you say the sleeping can be induced 🙂 Very true. Awe. It took me a long time to get back in the groove. You’ll get there when you’re ready. Way to go, girl! I cook my steel cut oats in the rice cooker! Congratulations on your success! Sticking to it can be tough and you’re rocking it! And now after this post I think I need to try that powdered peanut butter- I’ve never seen that before! How inspiring! You are amazing! I bought those cracker chips and they feel like I’m eating nothing. Nothing at all. Totally disappointing. BUT, the Special K berry medley granola bars are super good! Maybe it’s the flavor? I really like the cheddar and the sea salt and vinegar. WOW this is very inspiring. I’ve just started a new weight loss and get healthy plan and I’m using “Eat to Live” by Joel Fuhrman. LOVE the idea of the protein bars – I hadn’t even thought of that – but I’d need to check the sugar content as that’s one of the reason’s I went on this plan myself – my sugar was up. 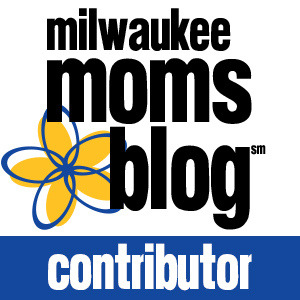 Great blog!!! Thanks for posting. That is incredible – keep up the good work! Very inspiring for other people who are working towards the same goal! great job! Congrats on your success ! This is so great! I’ve never tried the Zone bars. Are they good? YES! Love them. They taste like dessert. I admire your motivation! Go you! Congrats. I lost 30 but gained some of it back after injury. Anyway, I hope I can get back into exercise and start losing again. Love the products you featured too. Awesome! Keep up the great work! Consistency always seems to work for me. If I slip up during the weekend, I try my best to get back on track on Monday. What also helps me is switching up my workouts at the gym in order to fight boredom. Love reading that you are lifting weights!! Good luck! Congrats on your progress at the gym! When work get crazy my gym time suffers. Thanks for sharing your tips. Well, it took me three years after I had my twins to be able to lose any of it. I really held onto weight while nursing, so don’t stress about it. Focus on your little one, and worry about the weight later. I’m here for support when you need me. Good for you! That is awesome!!! Yes. I still have chocolate on occasion or a drink when we’re out. Great! They really have helped me. Also, looking and really counting the calories was a major wake-up call for me. First of all, congratulations!!! I’m currently doing weight watchers and am LOVING it! It’s ALL about what works best for you and your lifestyle and what you’re doing is great!! I’m loving WW and every little improvement is very encouraging. It definitely makes you realize every little thing that you put into your body and makes you reconsider if it’s something you’d really want to have in your body. Thank you for sharing – extra encouragement I needed : ) congrats!! You go girl! That is so amazing! I need to stick to this plan myself! Congrats and great job! I’m still searching for the right meal plan for myself. I’m doing the multiple meals, high in veggies and protein but can’t seem to find the right thing for the afternoon meal that helps me keep the energy up and feeling full until dinner. I’ll get it eventually I’m sure. It’s definitely a challenge. Hope you find something that works for you. I can totally understand that. It’s so frustrating. An amazing accomplishment! That’s fantastic and an achievement to be proud of! We are really enjoying our time at the #HomeMattersParty with you! This is awesome! Congratulations on your accomplishment and for maintaining your healthy lifestyle! It’s been great co-hosting the #HomeMattersParty with you! Good for you and THANK YOU for adding in your typical food for a day. This helps me a lot. It is frustrating to read a weight loss post when you don’t know what they did or are doing. It sounds like that gym is perfect. I wish ours was a little better. There are a couple of classes I can take without joining gym but they start at 5:30 which barely gives me any time to get there after my 1/2 commute home from work. (That could be an excuse) LOL! Thanks so much for sharing! Great Shann!! Congrats on your weight loss. After reading your post on classes in gym , I was talking to my hubby that I wanted to join a gym which has classes instead of just working out in machines. (I always like to be surrounded by people instead of just machines, you know) He felt the same too as he wants to learn yoga . So we found a gym near by and going there today .Let’s see how it goes. It’s great to co-hosting with you Shann. That’s awesome. Let me know how it goes! Wow these sounds great congrats for your weight loss. I also want to reduce 10lbs but I feel very hungry after every hour… Don’t you feel hungry after your dinner?? I’m usually OK. At the beginning I was very hungry all the time, but then I think my body got used to it. Congrats, Shann! You’re such a rockstar. Keep up the great work! Congrats on the weight loss! I really need to start eating healthier, but I’m so scared of failing (again) that I can’t seem to get started. Reading posts like yours always helps push me in the right direction,though. Thanks! Awe. Thank you so much. I really appreciate that. And I’ve still been able to keep it off 🙂 If you have any questions or need any help, feel free to send me an email.